Chris Hughton warned Brighton and Hove Albion that victory over Manchester United does not mean his side are set for a comfortable season in the Premier League. Brighton fought hard for survival in their first campaign following promotion last term, securing their top-flight status with a win against United in their final home match. 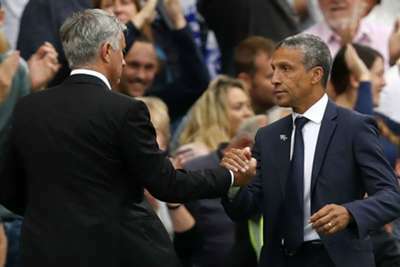 Hughton's men began the new season in the same fashion, defeating United in a 3-2 thriller, but the manager, while welcoming the result and performance, believes Brighton still have a long way to go. "[The win] shifts the mood, but it doesn't change anything for this season. It's going to be a tough season," he told Sky Sports. "The three teams who came up are capable of taking points and this division is as competitive as ever. "If we think it's going to the same or easier than last season, it's not going to be. We have to make sure our level of performance, if not at this level, needs to be somewhere near it to get points." Brighton looked a very different prospect to the side that meekly surrendered at Watford on the opening weekend, with Hughton acknowledging the players wanted to make up for their previous performance. 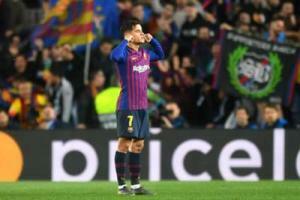 "I think, within the group, they were that disappointed with the overall performance [at Watford]," he said. "They were that keen to put on a show and redress that balance. "Sometimes you do that, things go your way, sometimes they don't. I think we forced things our way today with a very good performance."